aamra companies, one of the leading technology conglomerate of the country has received the prestigious international award for “Asia’s Best Employer Brand Awards” in ICT & Services Sector. 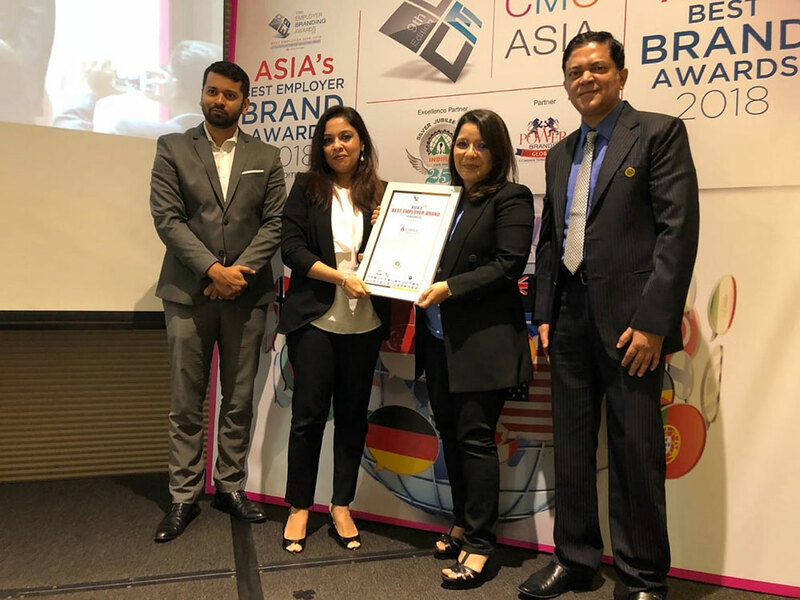 “Asia’s Best Employer Brand Awards” is an internationally recognised accolade given by World HRD Congress to organisations from ASIA region who are exemplary in translating vision and integration of HR Strategy with business and cultivating competencies to be future-ready. The award was handed over to aamra on 31st July 2018 at Le Meridien Sentosa, Singapore by Dr. R. L. Bhatia, Founder, World CSR Day and Project Director of World HRD Congress. Mrs. Syeda Munia Ahmed and Mrs. Fahmida Ahmed, Directors of aamra received this honor on behalf of the company. “I am thrilled to receive this this award on behalf of aamra colleagues who are devoted to ensure our continuous success and sustainable progress in the field of technology and human capacity development” – said Mrs. Syeda Munia Ahmed, Director of aamra. The Asia’s Best Employer Brand award aims to recognize organizations that have effectively attracted talent, retaining talent, developing talent and have unique pro-business HR Policy. “At aamra, we always put our employees first and focus on their development and well-being. We are very proud to know that our efforts are recognized and valued on international level” – said Mrs. Fahmida Ahmed, Director of aamra.